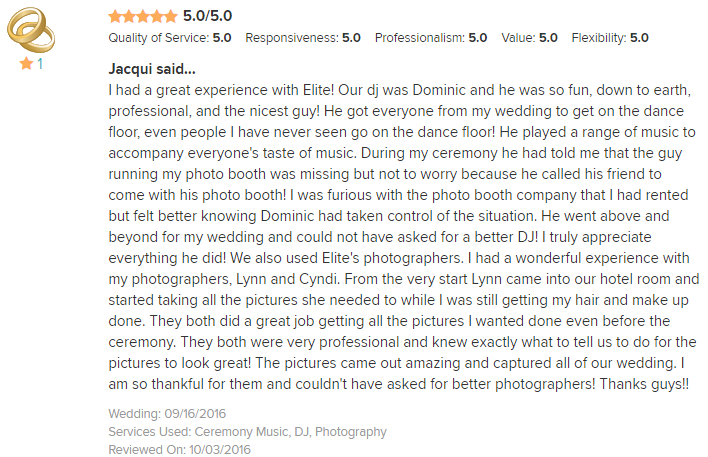 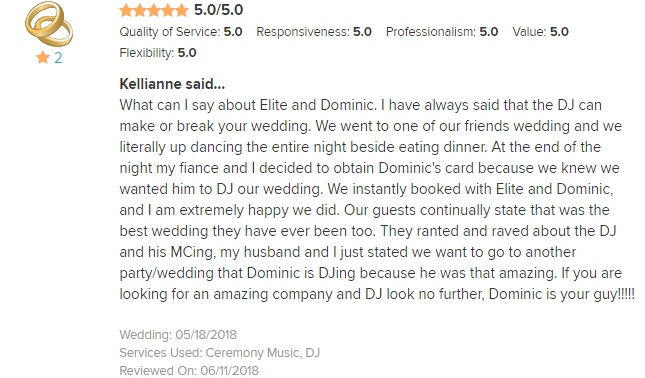 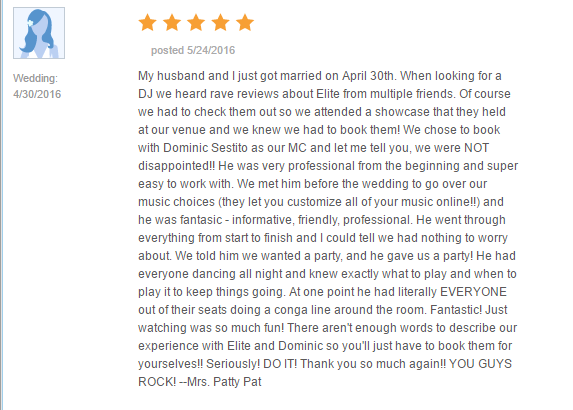 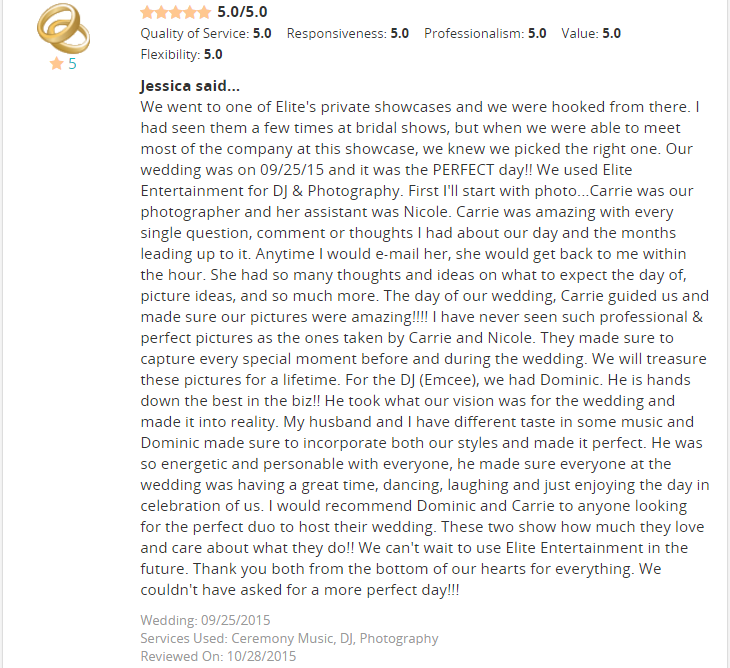 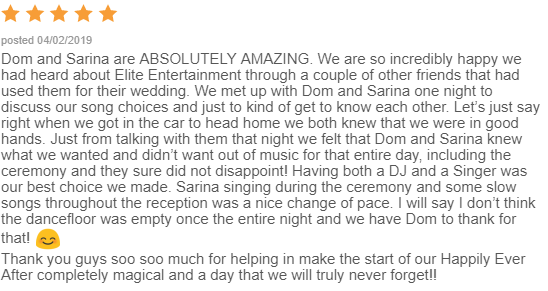 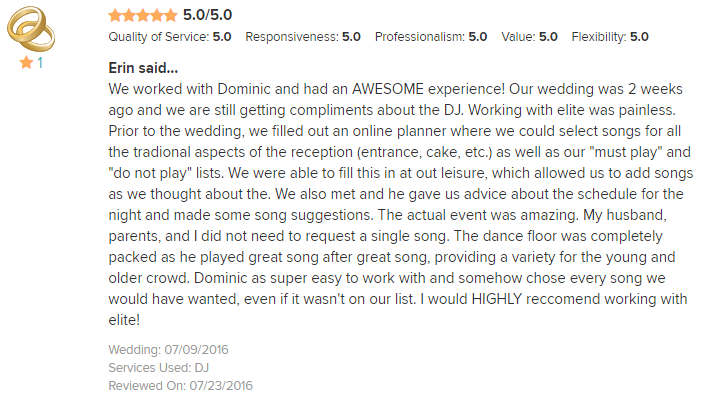 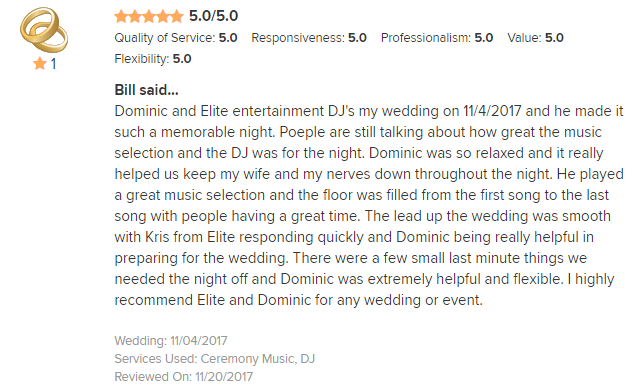 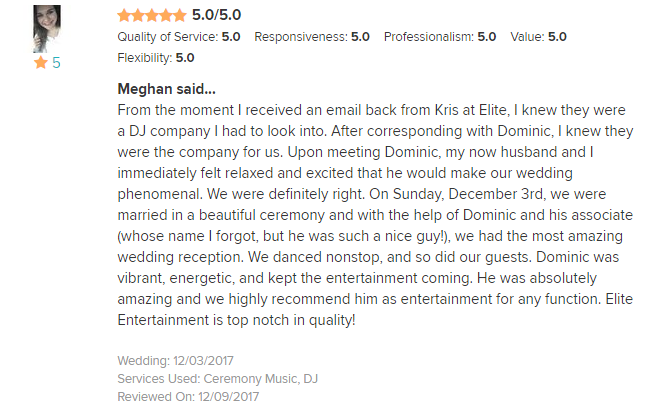 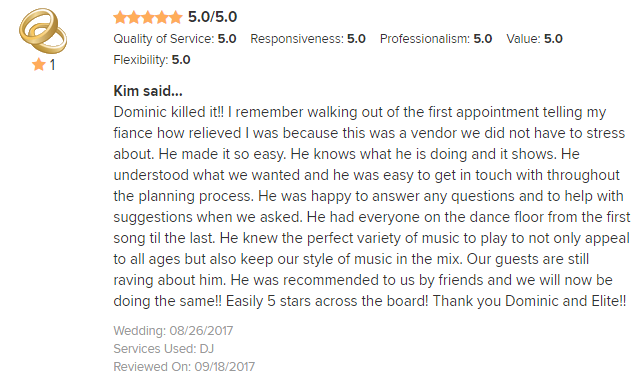 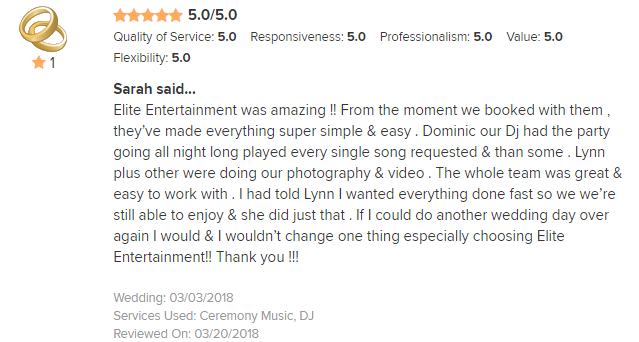 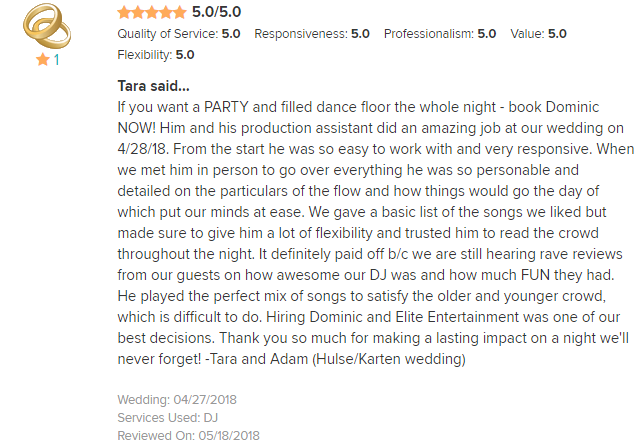 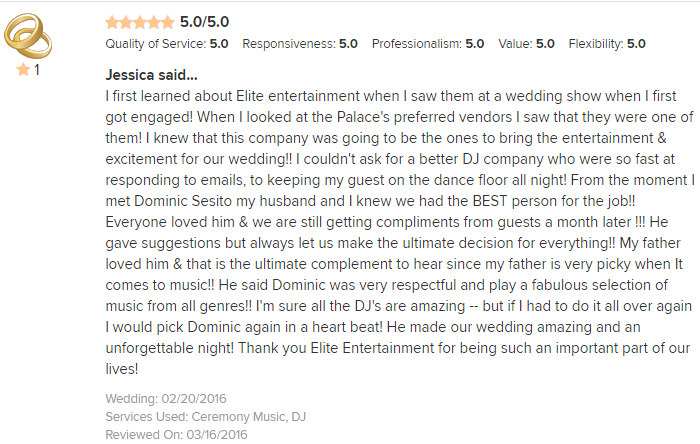 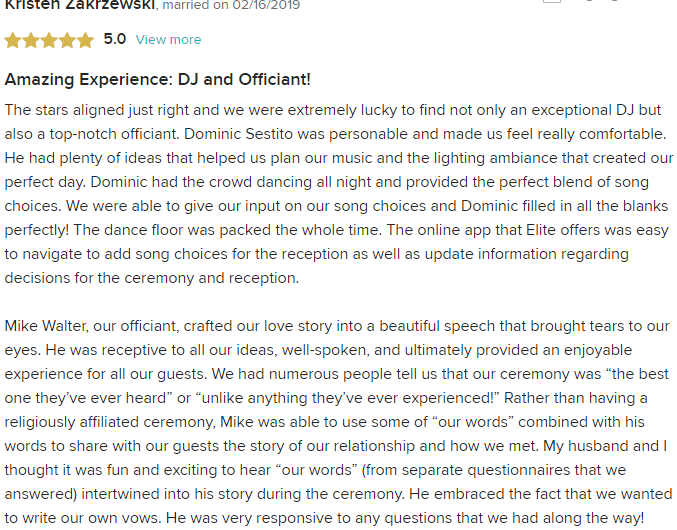 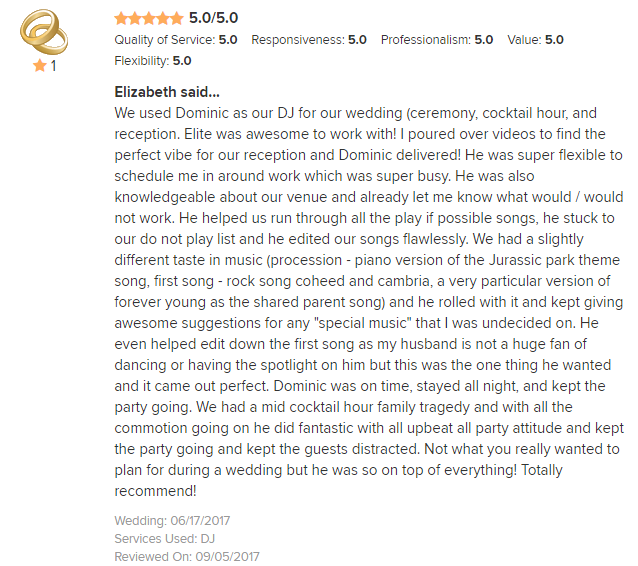 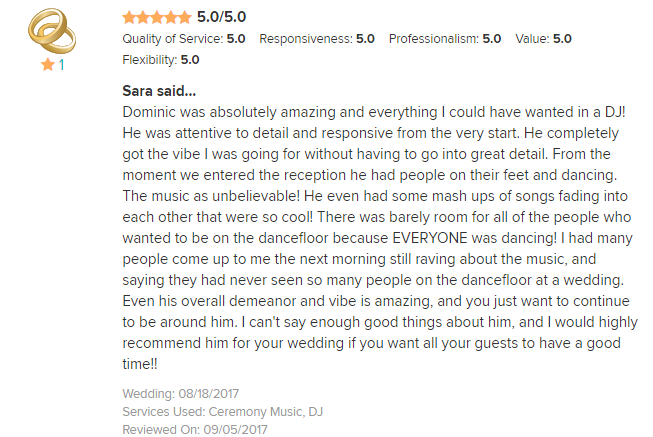 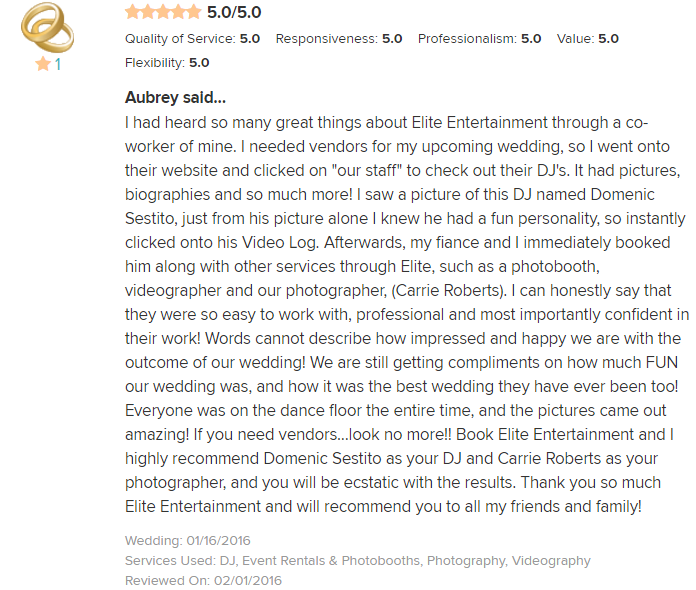 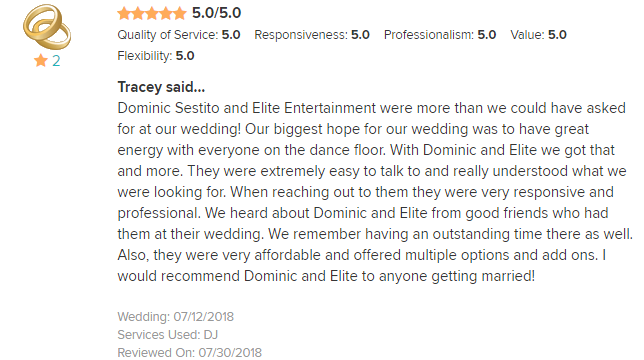 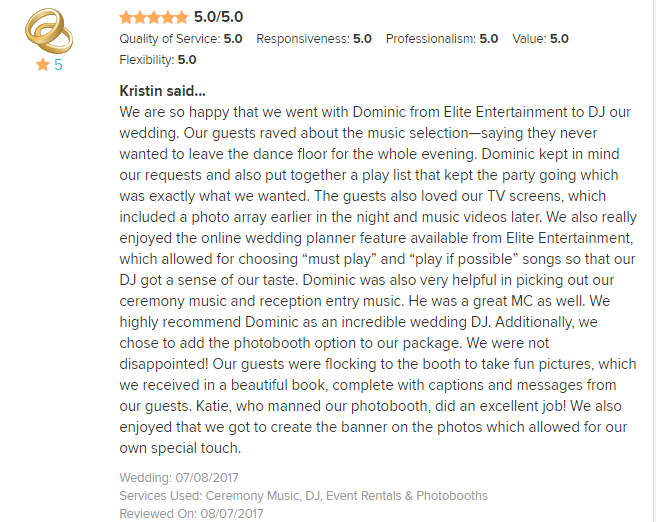 Who knew, in 1998 when Dominic Sestito walked into the Elite offices for a job interview, that the Mobile DJ business would turn out to be his career. 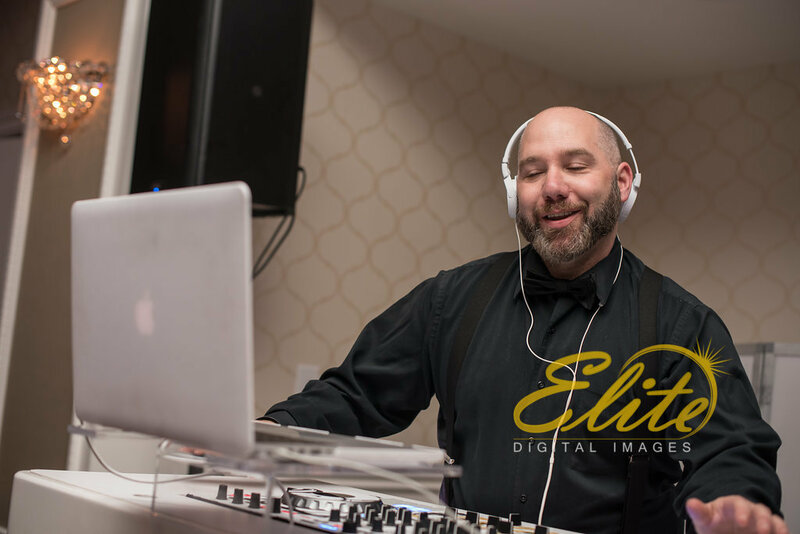 At the time he was finishing up at Wall High School and unsure what direction his life would take him. 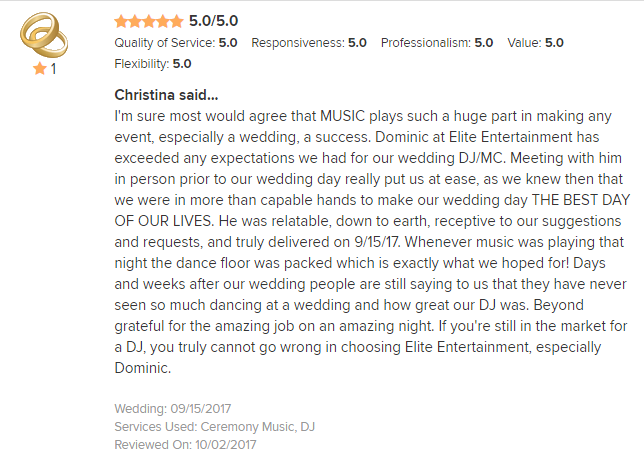 A four line classified ad in the Asbury Park Press caught his eye, and he started music mixing at weddings right away. 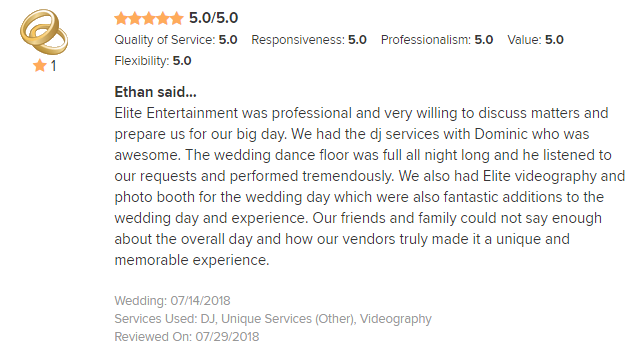 That was then; this is now. 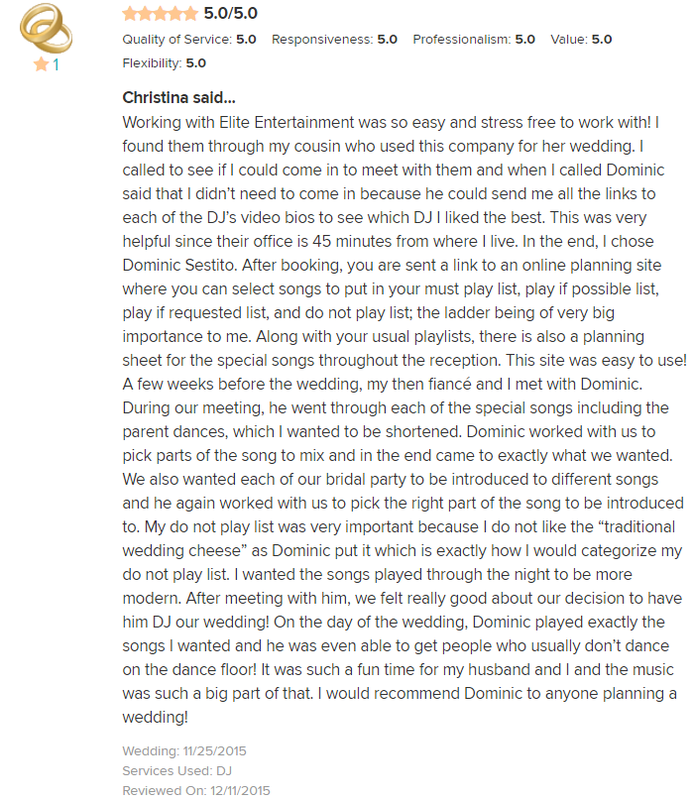 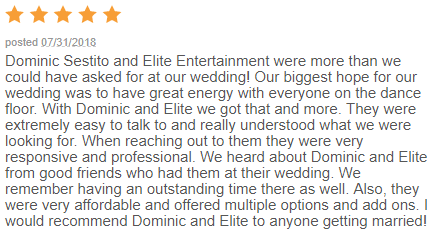 Dominic is now a full-time employee at Elite Entertainment. 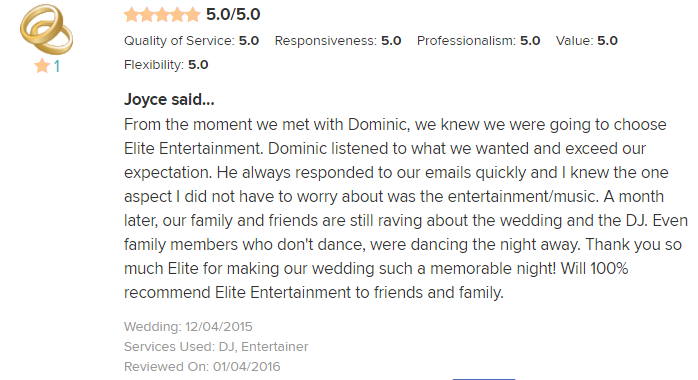 As senior sales consultant he heads up a sales team responsible for over a thousand events every year. 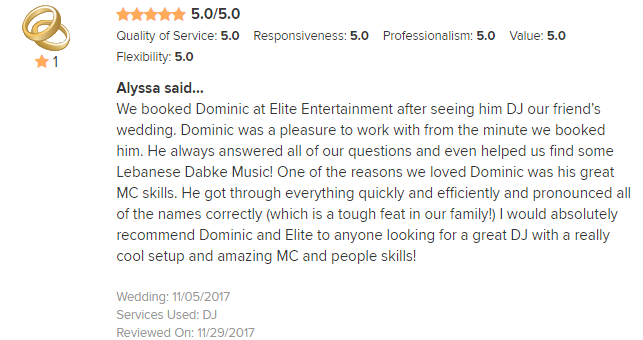 As an entertainer, he is one of Elite’s most requested and respected emcees. 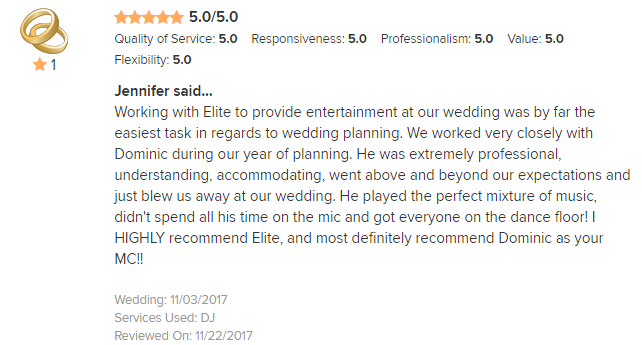 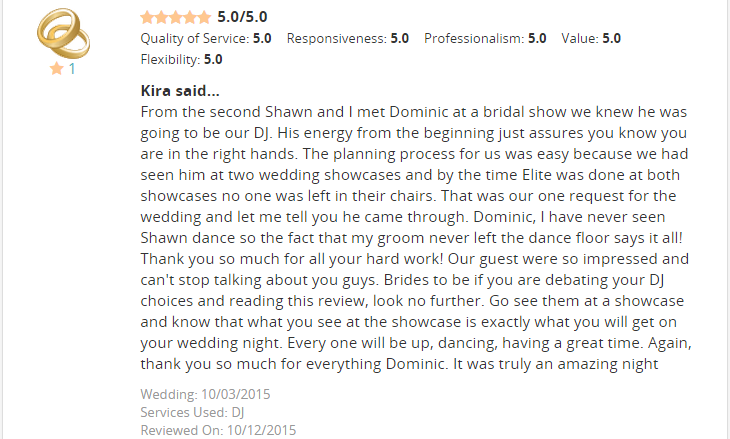 He personally performs at over ninety events a year and is a featured entertainer at almost every Bridal Show. 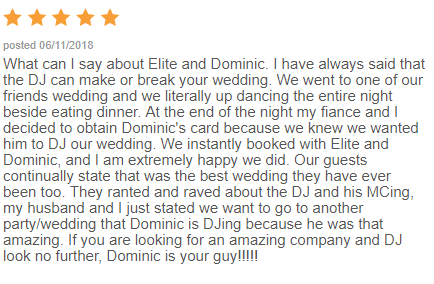 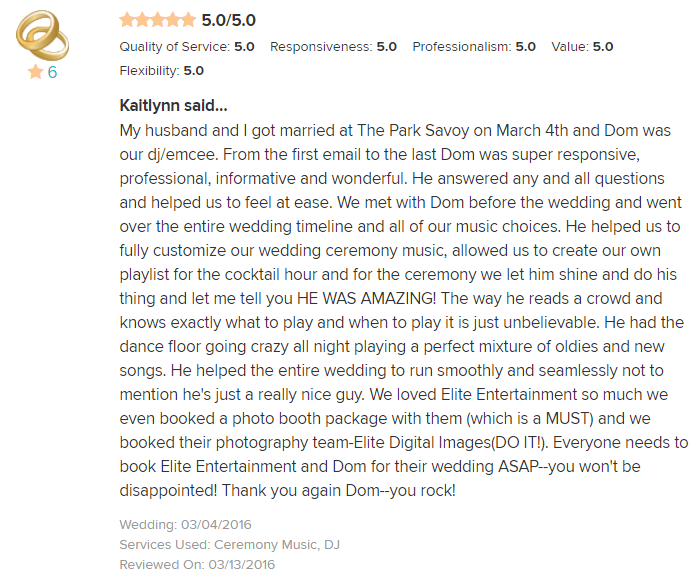 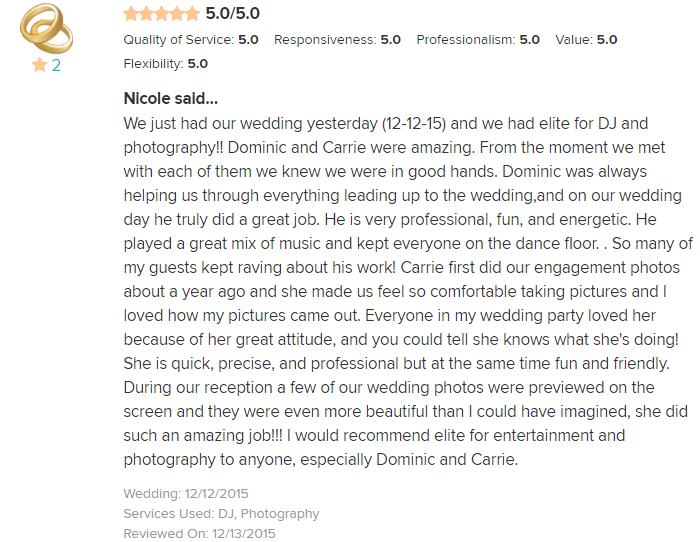 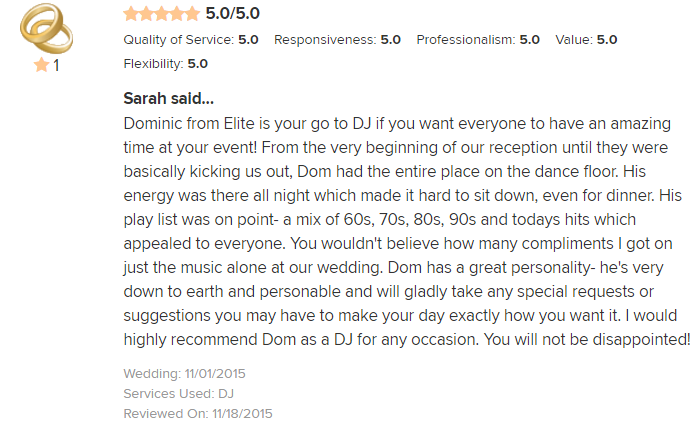 In 2003 and 2005 Dominic was recognized as “The DJ of the Year” at Elite Entertainment’s annual staff parties. 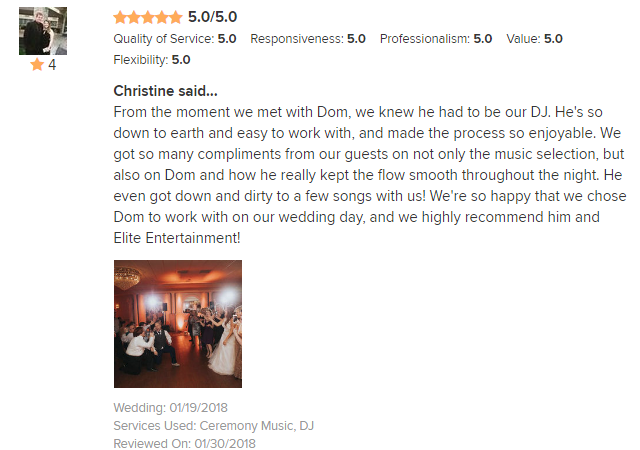 And every year at the International DJ Expo in Atlantic City, Dominic co-hosts the “DJ of the Year” competition with the show’s producer Mike Walter. 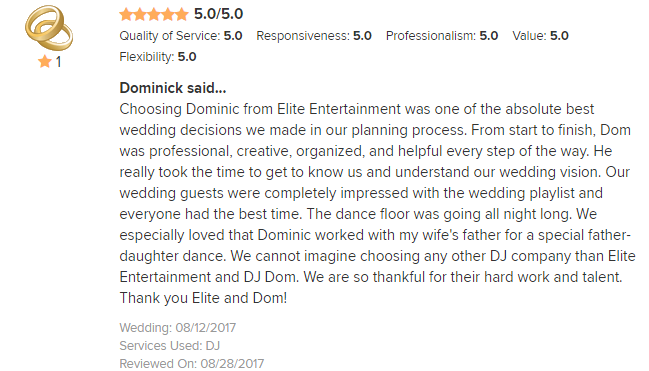 As an avid sports fan, Dominic often wears his Pittsburgh Steelers colors of black and gold and attends about a dozen Met games every year. 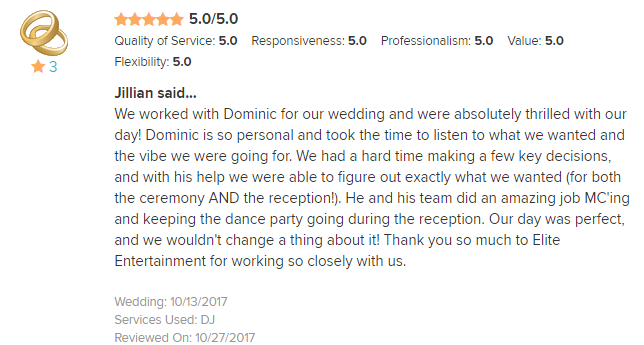 He stays active by working out, and playing flag football and softball. 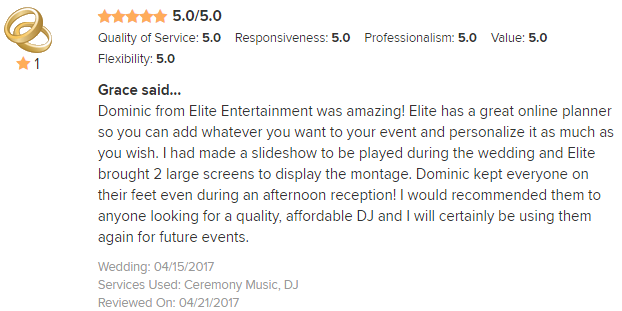 What does it take to get this popular emcee at your event? 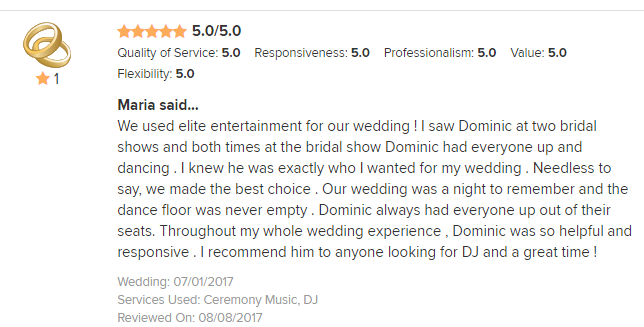 Book early! 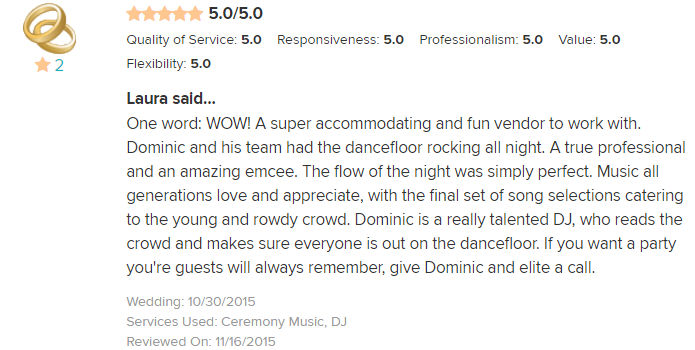 Dominic’s schedule fills up six to eighteen months in advance. 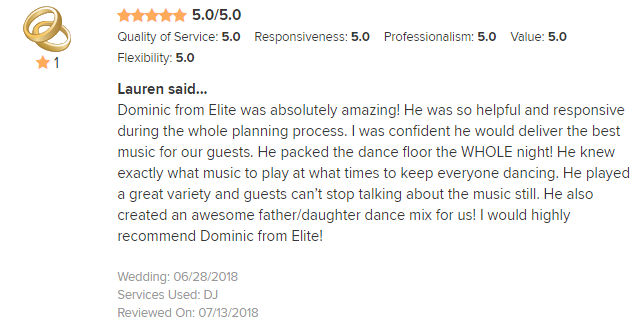 His outgoing and energetic personality make him the perfect emcee at weddings and corporate events, plus he’s still young and hip enough to spin at School Dances and Sweet Sixteens. 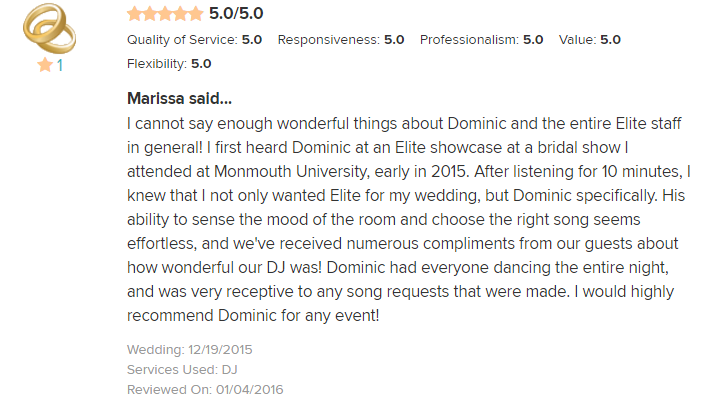 Besides being a great MC, Dominic Sestito is a phenomenal music mixer. 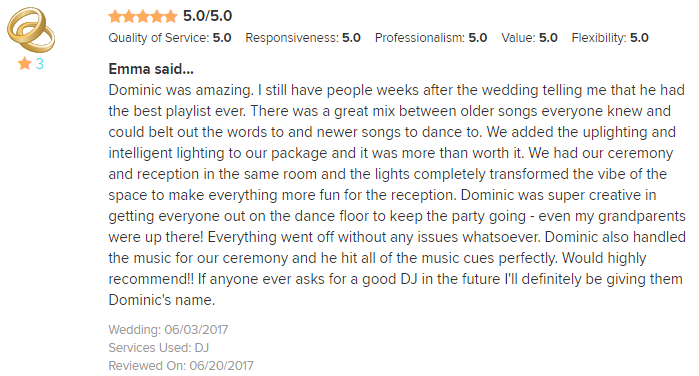 Click here for Dominic’s SoundCloud Page where he regularly uploads podcasts mixing cool tunes in an open format.